Hi, crafty friends, it’s Chark here today to share my take on the August challenge to use embossing paste. 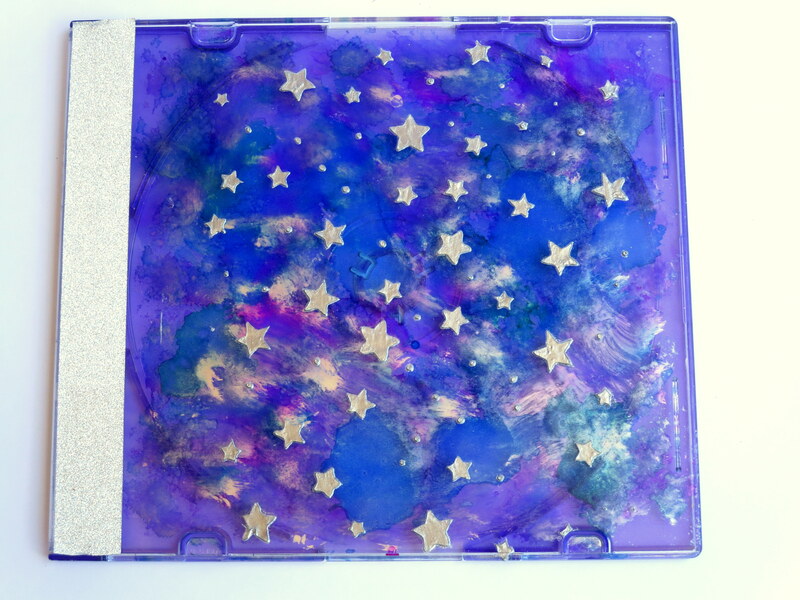 I used one of my favorite stencils, Starry Night, to upcycle a CD case and CD envelope. We recently got a new computer and turns out, a lot of my CDs for software won’t work, everything is just downloaded now. Soooo, that means I have a lot of CDs and their cases for making art. 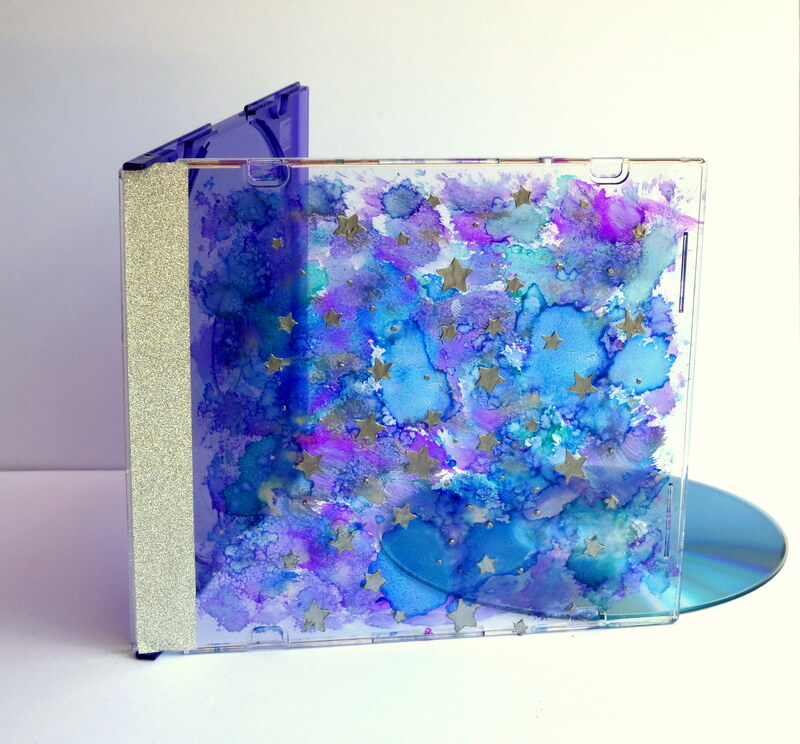 For this first project, I just dripped alcohol inks on the inside of the CD case lid after I used silver embossing paste on the outside of the lid with my stencil. My teen daughter still makes mix CDs for people (including me, with music she thinks I should be listening to), so this case would work great for a CD gift. I added a strip of silver glitter washi tape to the edge. For my second CD packaging upcycle, I embossed silver stars again, this time on the acetate portion of the CD paper envelope. I painted the paper part with Dylusions blue paint, it’s so vibrant! 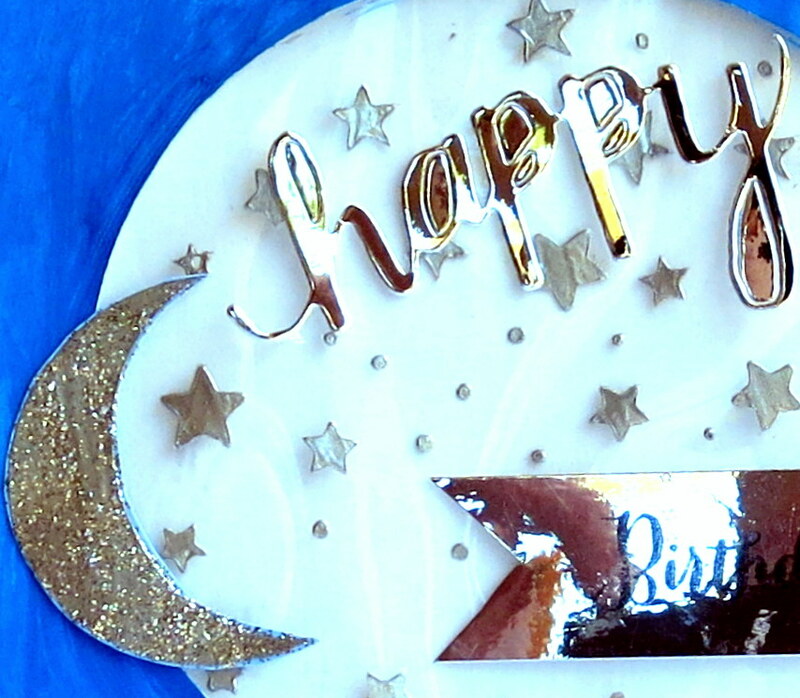 Then I added a moon embossed in silver paste and then glittered with silver Stickles, the hello die cut from silver paper and a birthday greeting from another Hero Arts stamp set on silver paper. Inside, I filled it with a gift card wrapped in a mini doily and added sequin mix. It makes giving a gift card a little more festive than just tucking it in a birthday card. I had fun playing with Hero Arts and embossing paste, hope you’ll join us at a2z Scrapbooking Supplies this month in our challenge. And don’t forget, you can join us on Twitter, Instagram and Facebook! If you haven’t done so already, please follow us on these different social media outlets–you don’t want to miss out on any fun promotions. We recently gave away a gift certificate to the store on Facebook! 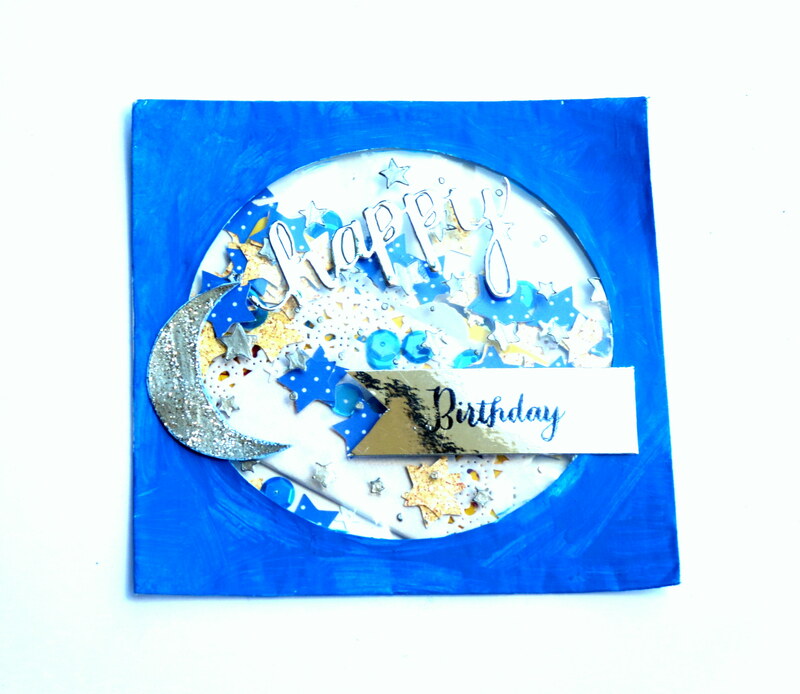 Categories: Challenges | Tags: alcohol inks, Birthday, cd, CDs, Challenges, chark, embossing, gift card, Gifts, happy birthday, happy die, moon, sequins, stars | Permalink.